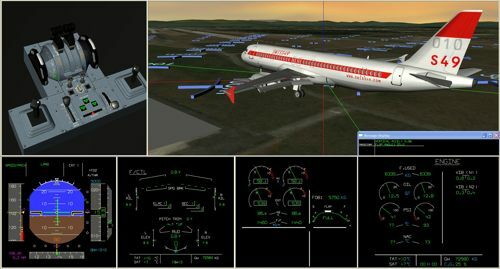 FLIGHT DATA MONITORING is the process of collecting flight data from aircraft, process it on a computer system related to Flight Safety events and doing analysis of the generated results. We offer an A-Z solution: setup, definition, integration, operation and support service selected by YOUR needs. YOU benefit from our flight operations expertise. We help YOU make the best use of YOUR equipment by using our flight data monitoring throughout YOUR organisation for Flight Ops Quality Assurance (FOQA/SMS), Maintenance Ops Quality Assurance (MOQA) and Aviation research (e.g. Airport and ATC efficiency). Automated Risk Index calculation for Safety Managements Systems SMS is part of the standard reports. YOU get ideas from swiss49ers how your company processes can be optimised to gain more return-on-invest from YOUR flight data monitoring (incl. union contracts). Choose the level of support swiss49ers can provide for YOU. Choose between an in-house IT-Infrastructure or remote internet service to keep costs low for YOUR company. A yearly risk assessement enables you to compare the exposure of your fleets against other airlines using the swiss49er services. Today it is crucial to find a balance between the flight ops' safety risk and financial economics.